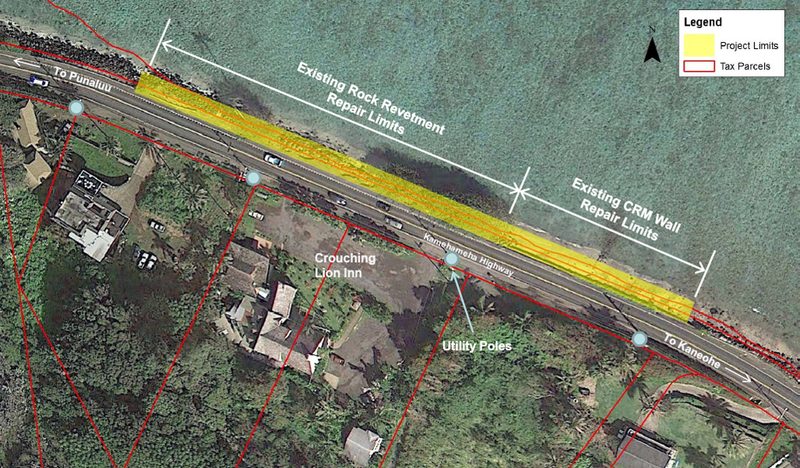 Emergency roadwork on Kamehameha Highway in Kaaawa is in-progress to repair a section of the roadway over approximately one half-mile between Keo Place and Trout Farm Road, fronting the Crouching Lion Inn (see location map below). 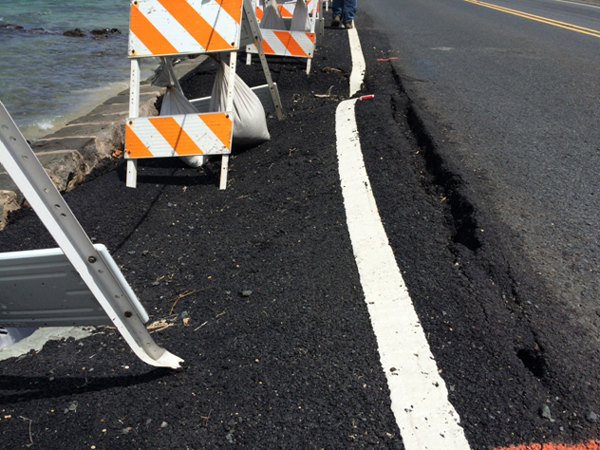 Preliminary work to place sandbags on the shoreline is underway to create a wave barrier around the work area. The repair plan will then consist of a 24/7 closure of the northbound lane at the above locations and weekday work will be scheduled between the hours of 7 a.m. to 6 p.m. daily. Automated traffic signals will be posted at both ends of the closure area to regulate contraflowed traffic through the remaining open lane. Police officers will be on-site at all hours to monitor traffic and provide priority for emergency vehicles passing through the closure area. 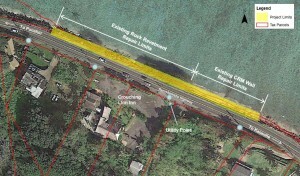 An archaeological monitor will also be on-site at all construction hours. Ocean wave erosion of the pavement and underlying foundation. 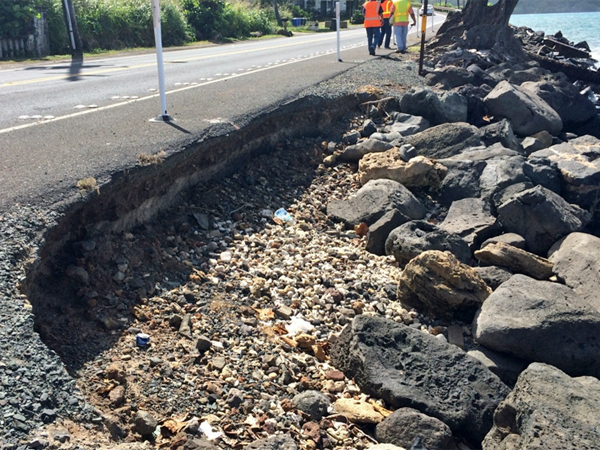 Undermining of the foundation is creating pavement settling, causing cracks and an uneven surface on the makai-side. 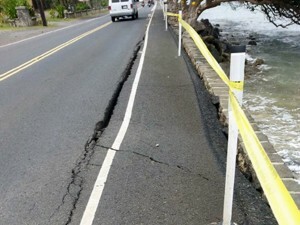 Pavement cracks, seen here in January 2015, were repaired in a subsequent road maintenance project, but the continual wave erosion has necessitated emergency repairs.